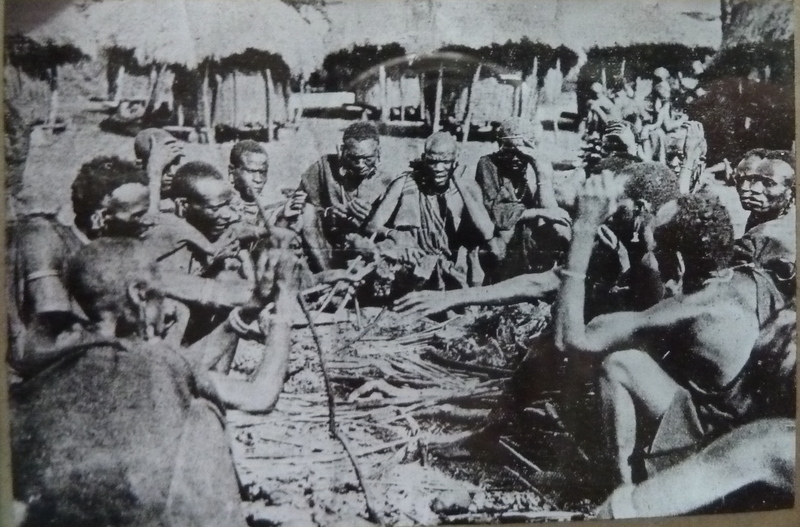 East African Revival convention in southern Uganda, 1945 (courtesy of the Henry Martyn Centre, Cambridge). Revival conventions were multi-lingual, cosmopolitan affairs; on some occasions there would be three or four translators rendering the preachers’ words into East African languages. 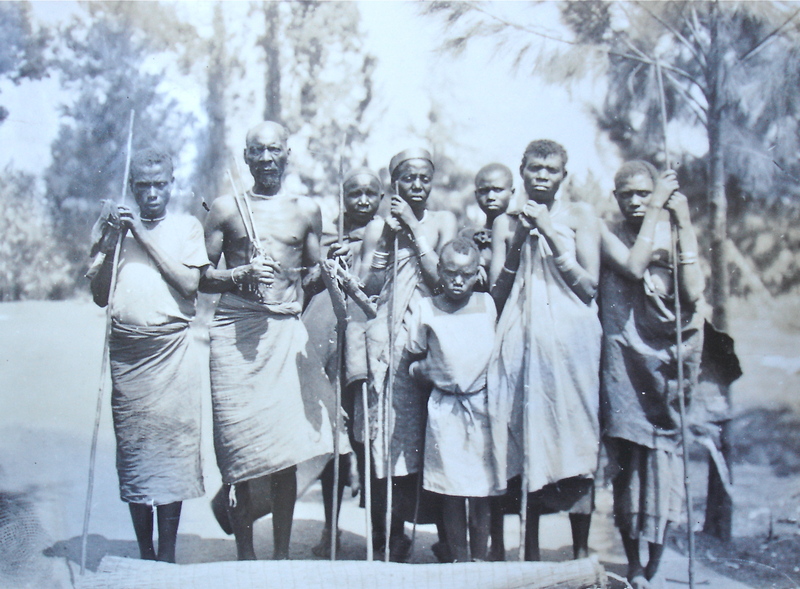 ‘Nyabingi Agents’, n.d. (but 1936) (courtesy of the Church Mission Society archives, Oxford). This photo depicts a group of Nyabingi devotees who had been apprehended by Christian converts at the Gahini mission station, in northern Rwanda, while soliciting support in the vicinity of the mission. They hold in their hands the iron rods that marked Nyabingi’s authority. 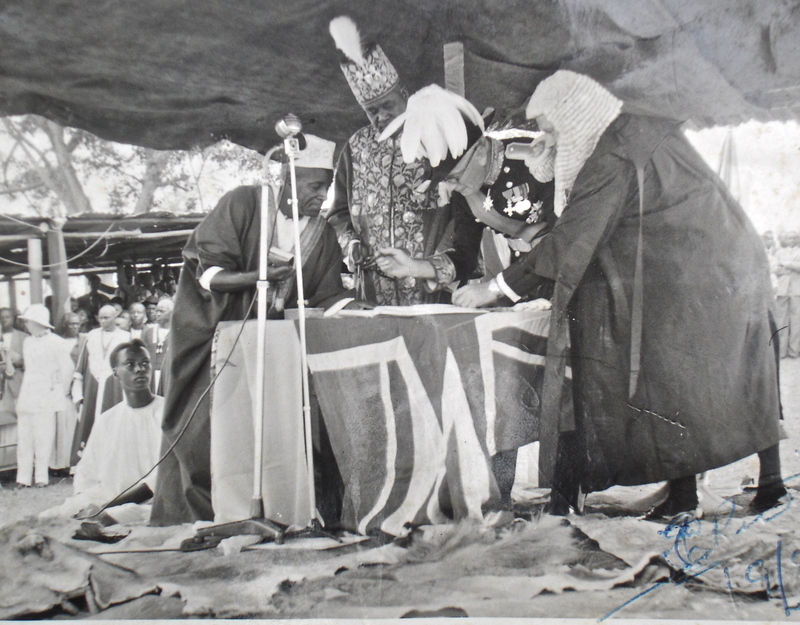 The Toro king Edward Rukidi and Uganda Governor Walter Coutts signing the Toro Agreement in Fort Portal, 1961 (courtesy of Mr. Charles Komurasi). On the eve of Uganda’s independence, the government-appointed Relationships Commission established agreements with Toro and several other Ugandan kingdoms, giving them limited internal autonomy. 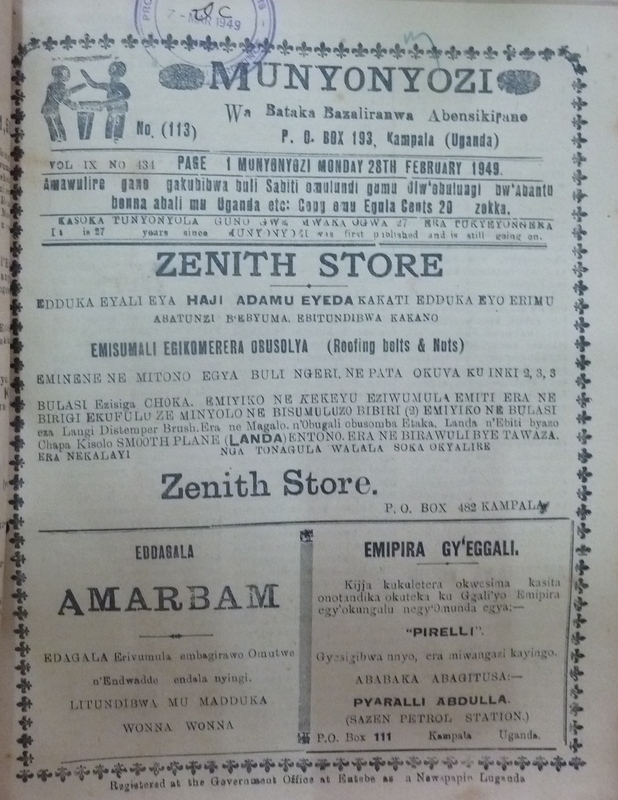 The Luganda-language newspaper Munyonyozi, published by the populist Bataka Party in the Kingdom of Buganda. Munyonyozi was one of several newspapers that campaigned against the Buganda Kingdom’s aristocracy, arguing that Ganda commoners ought organize and determine their own political future. 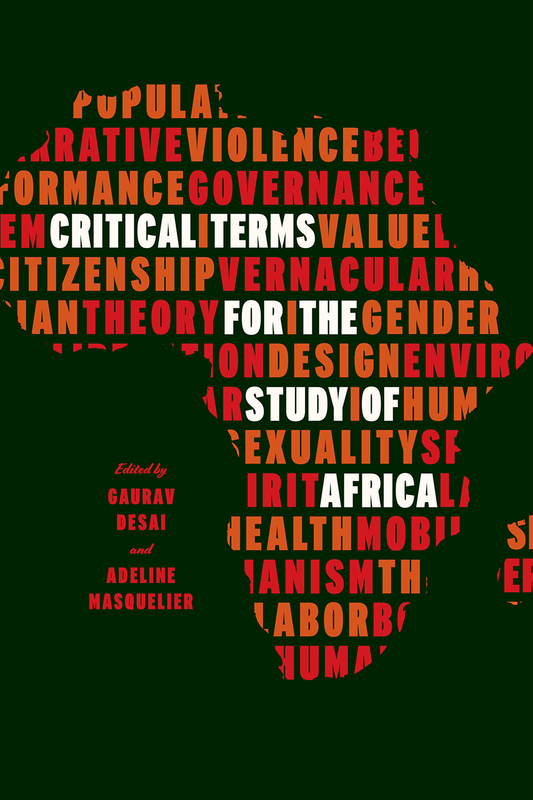 The masthead depicts a man making a declarative statement, while the other prepares to contend with him. A missionary lantern slide depicting a sitting of the kiama, the governing council in the vicinity of Tumutumu, central Kenya, about 1920 (courtesy of the National Museum of Kenya archives). This is the only photograph that I know of depicting Gikuyu elders in their deliberations. The sticks that the men hold were used to add emphasis to a point made in discourse. 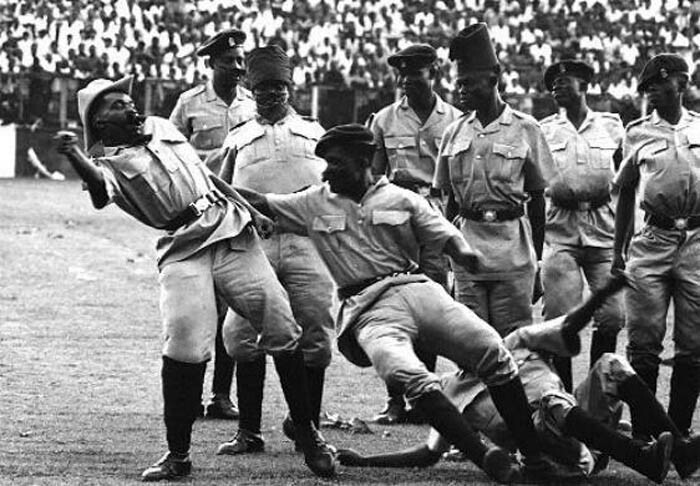 The Uganda Prisons Service performing a slapstick comedy marking the fifth anniversary of independence in Uganda, 1967 (courtesy of the website of photographer Marion Kaplan). The venue appears to be Lugogo Stadium. These celebrations took place as Uganda’s politics were increasingly dominated by Milton Obote, who in 1967 outlawed Uganda’s neo-traditional kingdoms and consolidated power at the center. 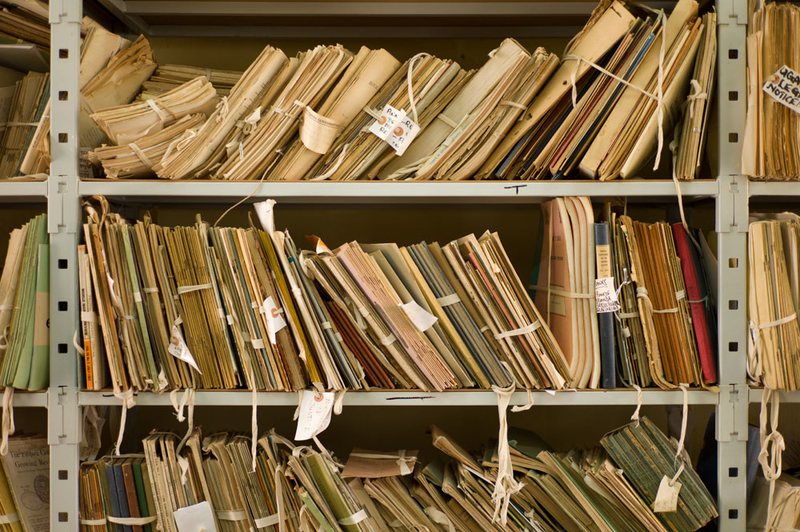 A shelf holding government publications, Uganda National Archives, Entebbe.